Ride the Maid of the Mist boat while experiencing the roar of the falls. 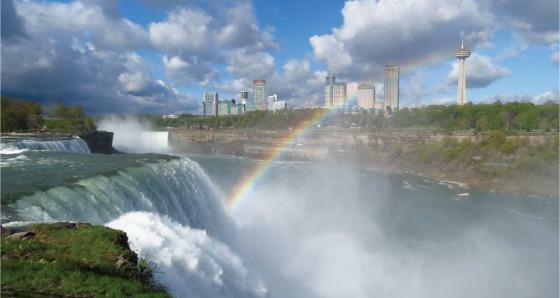 Top Seller Niagara Falls tours starting at $175. Limited time offer: Buy 2 get 2 Free! 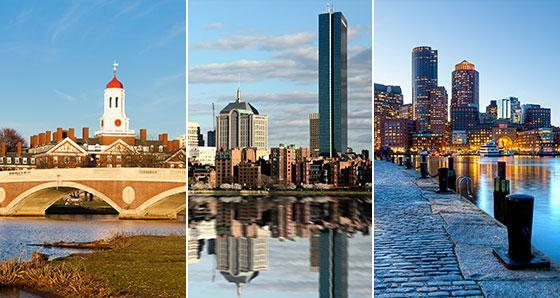 Travel the US East Coast on a multi-day tour package from Boston. A wondrous mixture of the exciting history waits for you! 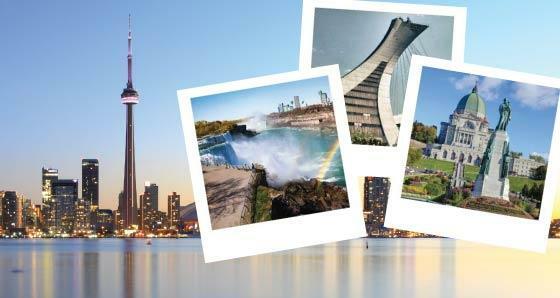 Visit all the Canadian Highlights: Montreal, Quebec City, Toronto and more! Historic Boston is a key cruise port for fall foliage trips around New England and the Canadian Maritime Provinces but anytime is a good time to enjoy this friendly, walkable city - The Cradle of Liberty for its part in the American War of Independence. Learn its fascinating history by following the Freedom Trail or take a subway ride beneath the Charles River to Cambridge, home of the 400-year-old Harvard University. On the other hand, you could simply settle for some world-class shopping and lunch with a view of street entertainers at one of the pavement restaurants in the leafy lanes which surround pretty Quincy Market. Or spend your day exploring the city's neighborhoods; Back Bay - filled with elegant boulevards and imposing brownstone mansions - is the trendiest district while North End displays Boston's colonial charm at its best.